One of our long time favorites return to Dallas this Fall with a new album, On Oni Pond (anti-) coming out Sept. 10th… then you can catch them at Club Dada two weeks later on September 23rd. All Ages – $15 advance, on sale Friday July 19th. 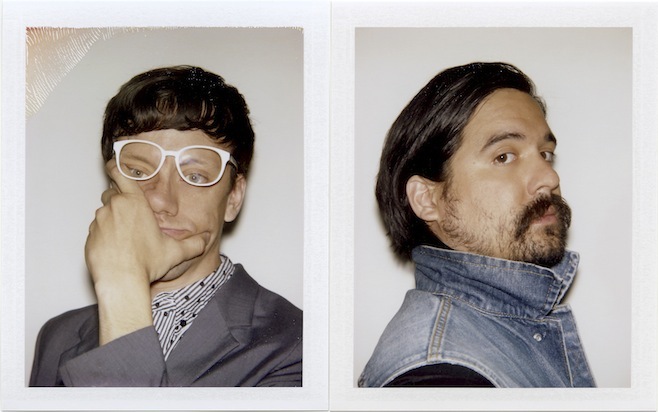 On September 10, Anti- will release the new album by MAN MAN entitled On Oni Pond. The band’s latest features an arresting reconstruction of MAN MAN’s visionary sound – stripped to its core and rebuilt as something new and compelling yet still very much MAN MAN. This marked shift is a direct result of an intensive collaboration between the band’s frontman, Honus Honus, and drummer Pow Pow, who has assumed a new-found prominence in the songwriting process, bringing an exhilarating array of new rhythmic ideas to the mix. “With this album we got to do something that very few bands or creative people get to do which is a reboot, and one that feels natural,” comments Honus Honus. The compositions were further honed by the band members along with producer Mike Mogis (Bright Eyes, First Aid Kit) into a compelling mash-up of Fear Of Music era Talking Heads, classic soul, psychedelia, hip hop, and 50’s rock and roll. With its imaginative yet economical rhythms, huge hooks, and overriding sense of urgency, On Oni Pond melds these seemingly disparate influences into an unexpectedly lush, melodic album, exquisitely consolidated by the band’s unique and affecting vision. This entry was posted on July 16, 2013 at 11:00 am, filed under News and tagged anti-, club dada, dallas, man man.